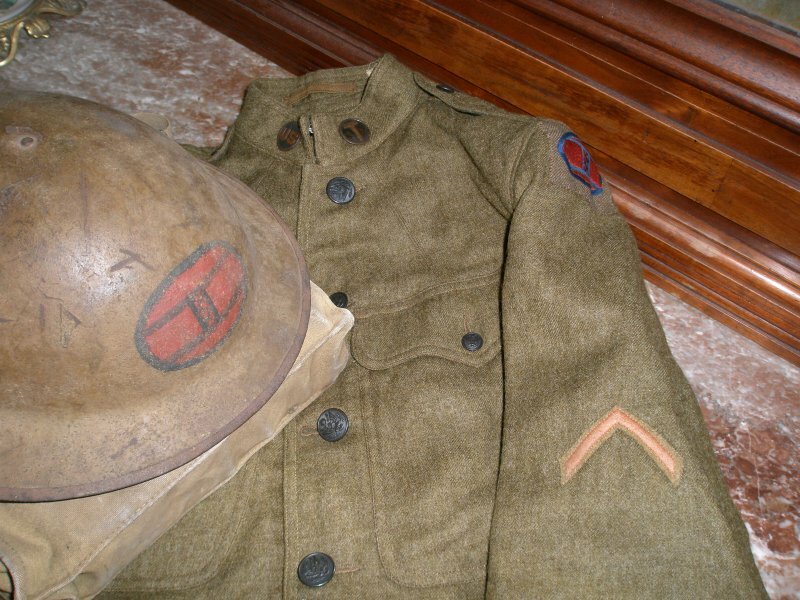 Above: 30th Infantry Division Uniform Tunic, helmet and chemical protective mask for Pvt Curvin Miller of the 105th Ammunition Train. 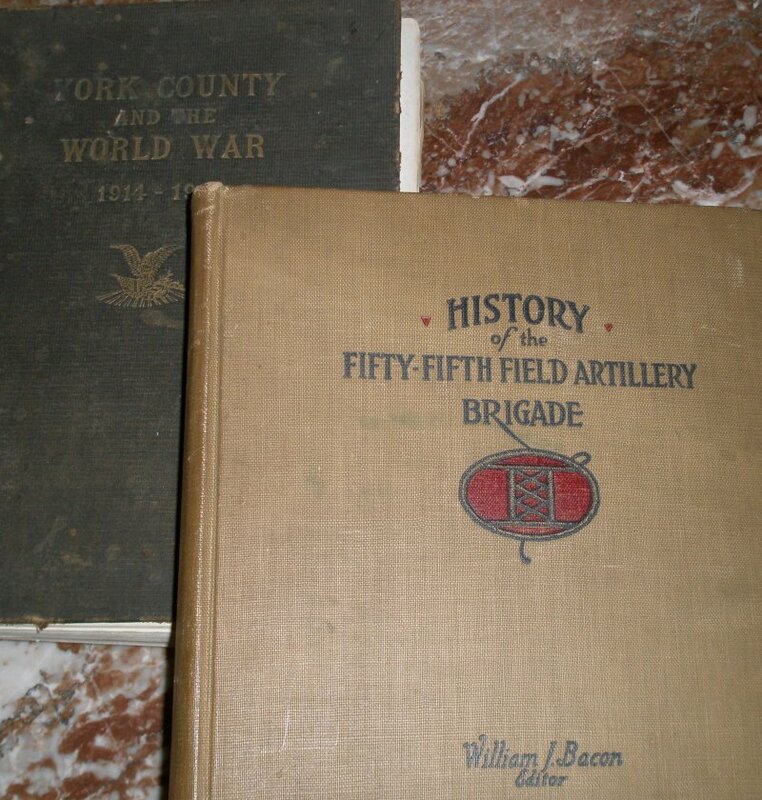 Above: Curvin’s books including a History of the Fifty Fifth Field Artillery Brigade (30th Infantry Division) and York County and the World War 1914-1918 . 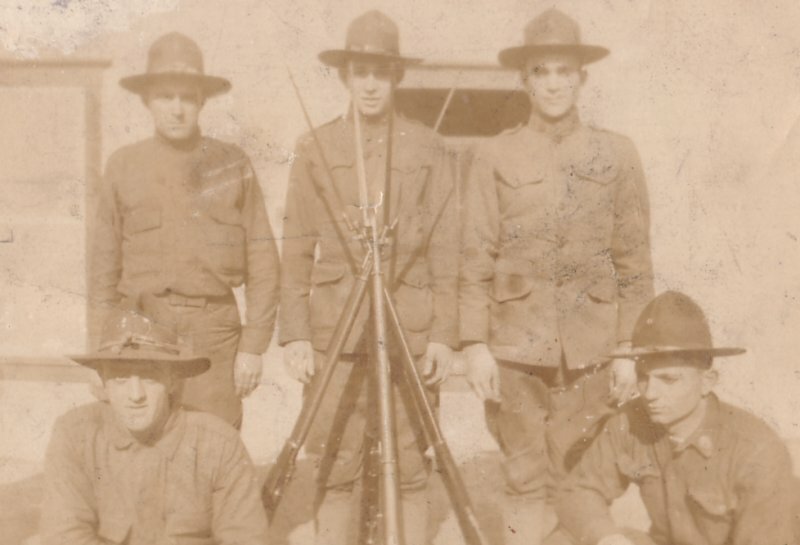 Above: A photograph found in the Curvin Miller Group without marking but the man on the lower right appears to be Curvin. 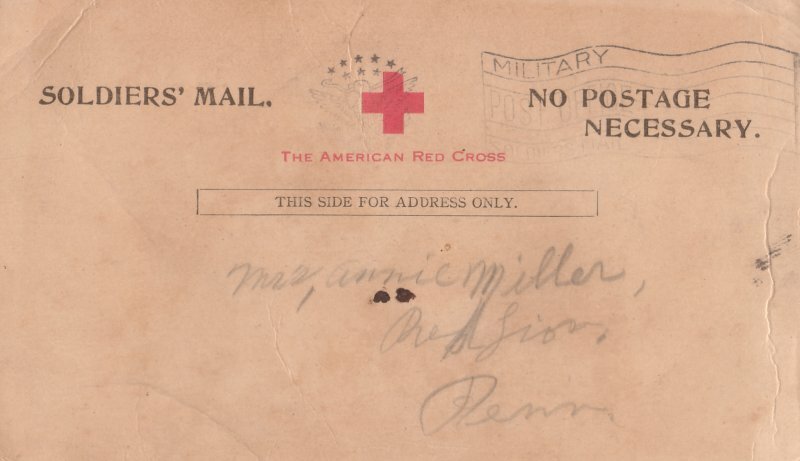 Above, Top: Red Cross notice to Annie Miller (Curvin’s Mother) informing her that Curvin Miller’s ship arrived safely in Europe. 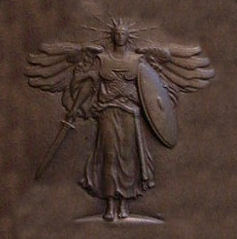 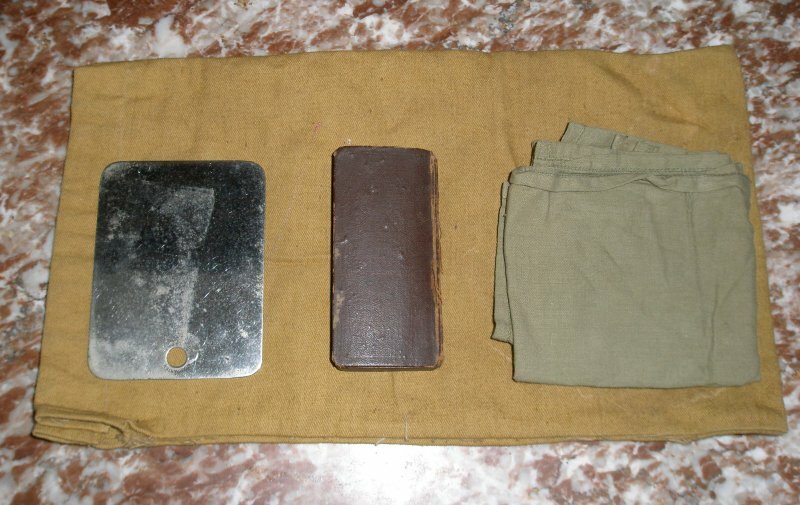 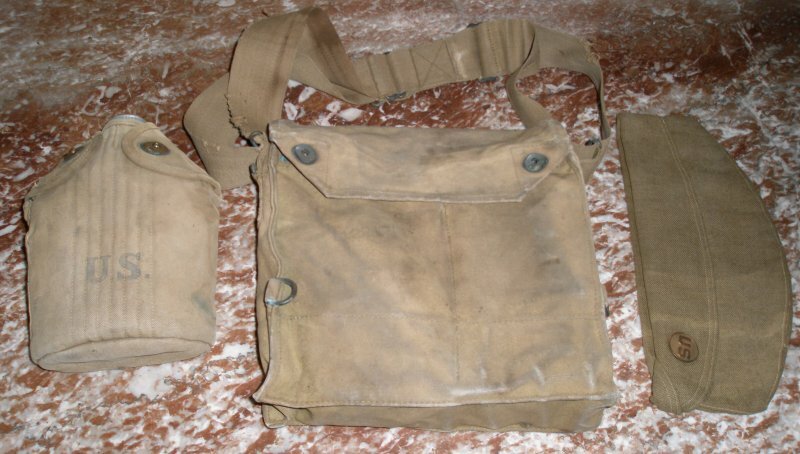 Above: An unmarked photograph found in the Curvin Miller group. 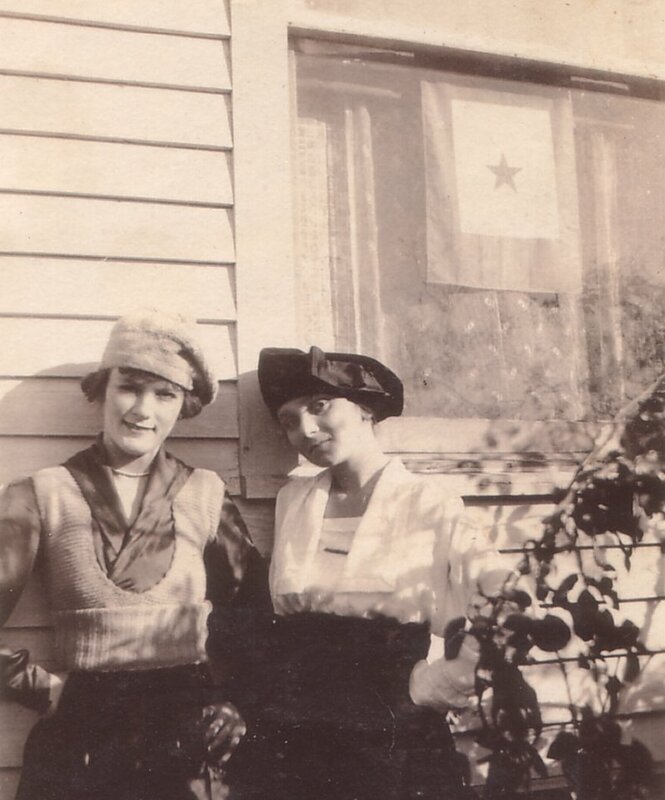 Notice the “Son in Service” flag in the window. 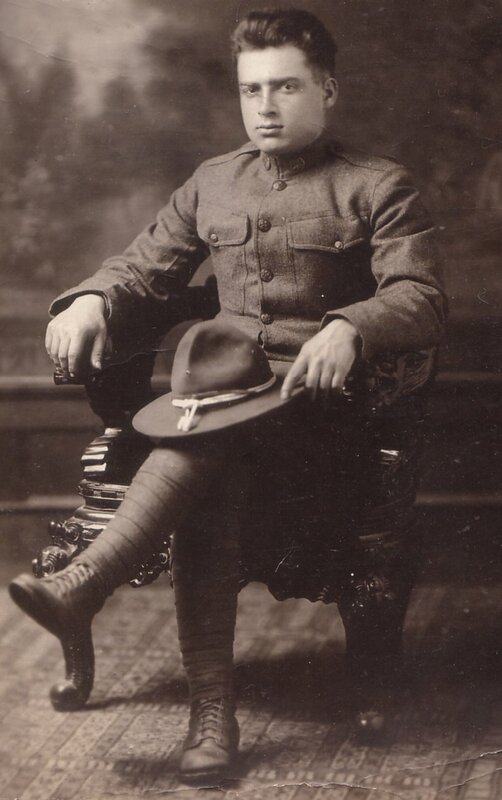 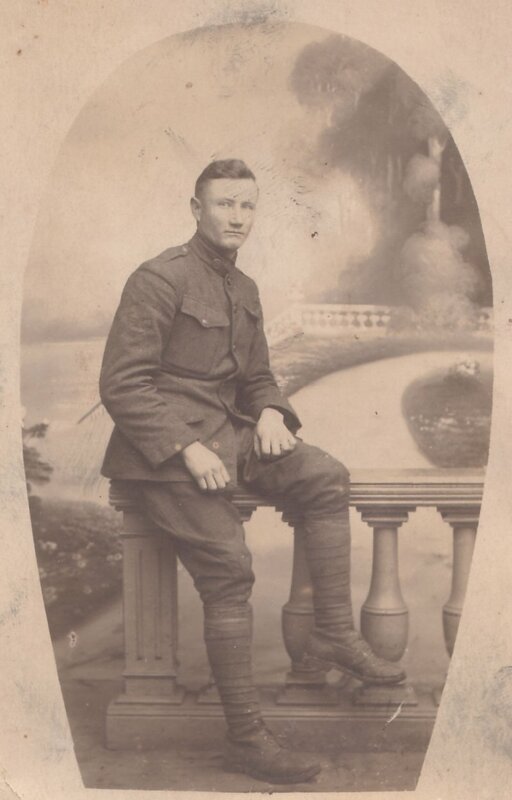 Above: A photograph found within the Curvin Miller group marked “David Miller KIA”. 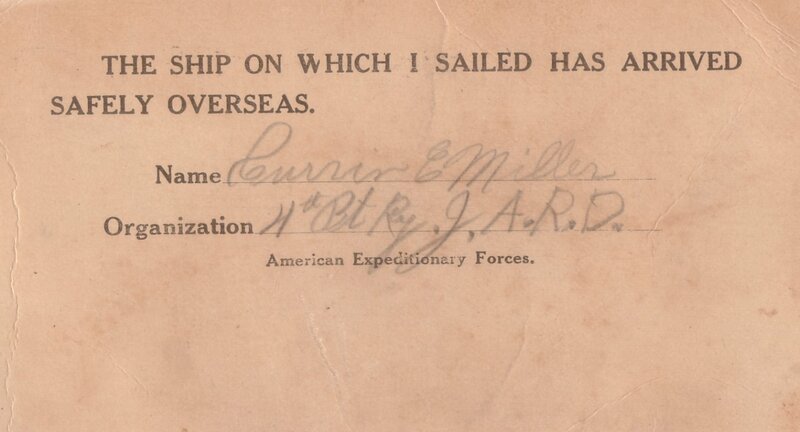 David Miller was Curvin’s brother and served in another unit from Curvin. 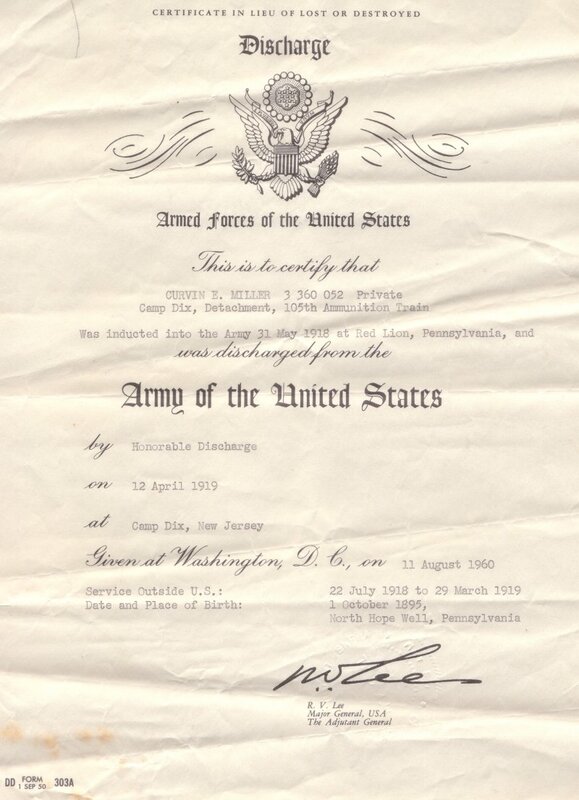 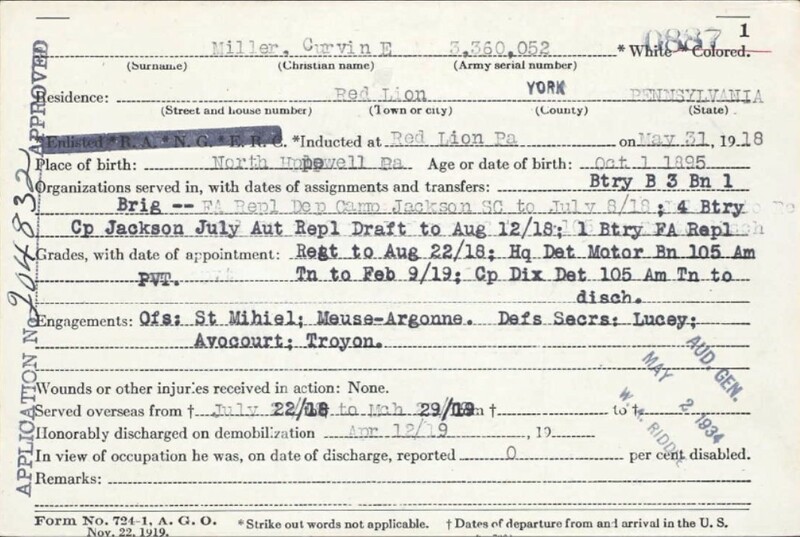 Above: Curvin Miller’s Draft Notice with a 31 MAY 1918 reporting date. 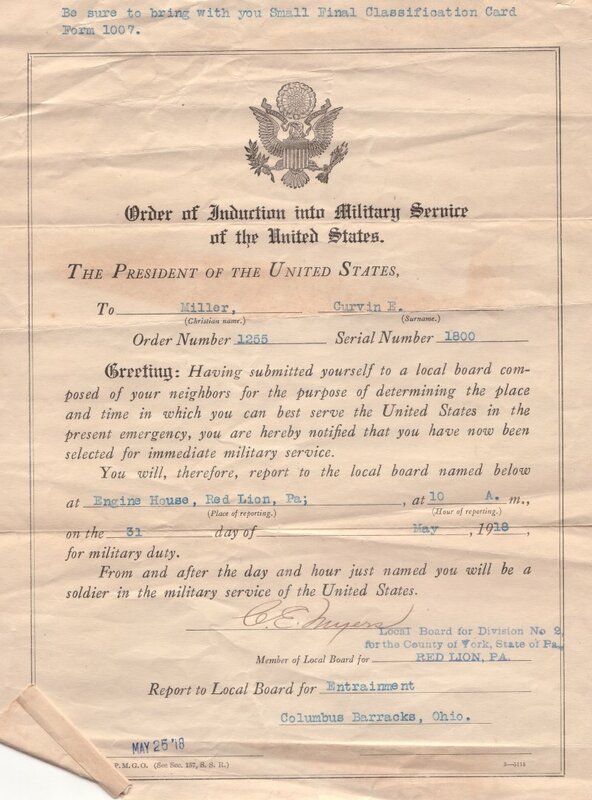 Above: Curvin Miller’s Discharge from Service indicating 12 April 1919 as his last day in Service.